Over 20,000 entries Received; Paytm Mall Campus Icon Programme. Paytm Mall, which is held by Paytm Ecommerce Pvt. Ltd has started Campus Icon programme. 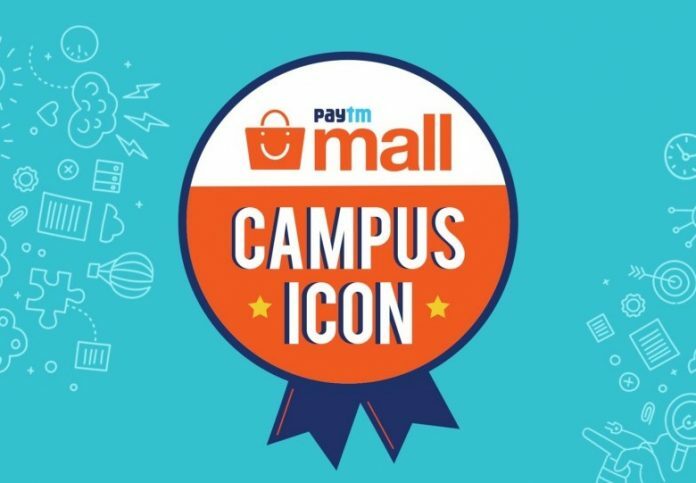 Paytm Mall Campus Icon Programme is a six-week Nation-wide programme for all the college students. The Campus Programme is to make the college learning experience more exciting. The industry-focused programme Campus Icon received a tremendous response within three weeks of launch. In this programme, the students will learn real-world analytical techniques connected to the product, marketing, design through seminars and training material. The programme received over 20,000 entries. 85% of the application received from students is between 20-25 years of age. The first batch of over 1500 students is shortlisted and are preparing for their first tasks. Entries are open until July 31 for the second batch starting August 7. Students participating in the six-week programme will be given various tasks which help sharpen their skills. 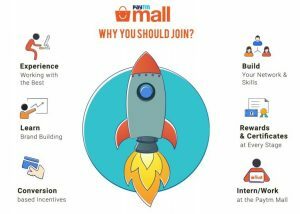 The top performers of the programme will be awarded incentives, internships, and full-time job offers, and they also get an opportunity to work with Paytm Mall team closely. They also get a chance to transform the face of mobile commerce in India.